Behavior charts with baseball teams! 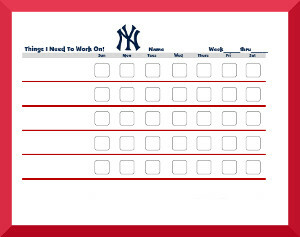 Using behavior charts with baseball teams is a great method to help your child change negative behaviors or keep track of chores or daily routines. Your baseball fan will love picking a new team every week to track behaviors! Behavior charts are much more effective when you make them fun and engaging! Don't forget to visit our page of National League Behavior Charts too.